It’s in her English as a second language classes that Tami finds a support system. With the encouragement of headstrong Eva, loyal Nadia, and Agata and Josef, who are carving out a love story of their own, perhaps Tami can keep dreaming–and find a way to stay in America. This is such a heart-warming story of a woman who now has the freedom to do as she pleases in America but still has fears due to her life in Iran. It is also heart-breaking because we learn about her life in Iran. You’re not sure if it’s true or not so you research more about the lives of Iranian woman. You learn of a culture that the media has ripped to shreds but also rings true in some way or another. As Tami tries to find the perfect suitor so she can remain in America, you secretly wish she ends up with the first American man she meets. You wish you were more like her- adamant to spread your wings, tough, and ready to try something new. The only problem I had with it was that some characters weren’t fully drawn and I didn’t get a sense of who Ike truly was. Sure he wanted Tami, but who was he as a person? I never felt like I could relate to him or knew him. Book Review: Made in the U.S.A.
Luttie McFee’s history has taught her to avoid attachments…to people, to places, and to almost everything. With her mother long dead and her father long gone to find his fortune in Las Vegas, 15-year-old Luttie lives in the god-forsaken town of Yankton, South Dakota with her nine-year-old brother, Fate, and Floy Satterfield, the 300-pound ex-girlfriend of her father. While Lutie shoplifts for kicks, Fate spends most of his time reading, watching weird TV shows and worrying about global warming and the endangerment of pandas. As if their life is not dismal enough, one day, while shopping in their local Wal-Mart, Floy keels over and the two motherless kids are suddenly faced with the choice of becoming wards of the state or hightailing it out of town in Floy’s old Pontiac. Choosing the latter, they head off to Las Vegas in search of a father who has no known address, no phone number and, clearly, no interest in the kids he left behind. From the author of “Where The Heart Is”, Letts doesn’t let us down again. Made in the U.S.A. is another heart-warming tale of tragedy, life, and lessons. As a sibling, I know how Lutie felt, wanting to take care of her little brother. We all want to take care of our siblings, even if they are annoying at times. You feel sympathy for them because they think they have no other way of making their lives better. You want to jump in and rescue them from the horrible things they have to endure. I know it’s not based on a true story, but after much research, I found that what Lutie and Fate were going through happens every day. You learn so much from this novel, even if it isn’t from the main characters. 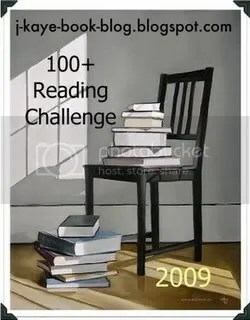 I read it in 2 or 3 days because I wanted to see what would happen. I would read it for hours, look at the clock, and realize I hadn’t eaten in 6 hours. I even learned some personal lessons from it that I won’t tell you because every reader is different and will take something different from it. If you enjoyed “Where The Heart Is”, you’ll enjoy this book of family, life, trouble, tragedy, and triumph. Nine years ago, Pam Cope owned a cozy hair salon in the tiny town of Neosho, Missouri, and her life revolved around her son’s baseball games, her daughter’s dance lessons, and family trips to places like Disney World. She had never been out of the country, nor had she any desire to travel far from home. Needing to get as far away as possible from everything that reminded her of her loss, she accepted a friend’s invitation to travel to Vietnam, and, from the moment she stepped off the plane, everything she had been feeling since her son’s death began to shift. By the time she returned home, she had a new mission: to use her pain to change the world, one small step at a time, one child at a time. Today, she is the mother of two children adopted from Vietnam. More than that, she and her husband have created a foundation called “Touch A Life,” dedicated to helping desperate children in countries as far-flung as Vietnam, Cambodia and Ghana. I really don’t know where to start. Some would tell me to start from the beginning, but it’s so much more than that. When I started reading it, I didn’t expect my emotions to run away with every page. You wanted to be there to comfort her. You wanted to be there so you can help. You wanted to experience everything she was experiencing while in Vietnam or Ghana. As I read, I could feel sympathy and compassion rising inside of me. It is so heartfelt, heartwarming, and in some places, heartbreaking. I never imagined that all of this was really happening and it opened my eyes up to countries I thought were beautiful. They never show this on TV or even slightly mention it. So without books or the Internet, we would have never know all of this was going on. You can’t imagine what it must feel like. But thanks to Touch A Life Foundation, many children will never know what it feels like to be a child slave. They’ll be able to have friends, play, go to school, and even sing. For more information on Touch A Life Foundation, visit www.touchalifekids.org. Pregnant, alone and on the run to protect her unborn child, Laura Malone found herself stranded on a snowy Colorado road, at the mercy of a stranger. Fortunately, Gabriel Bradley’s only intention that fateful night was to provide her shelter. 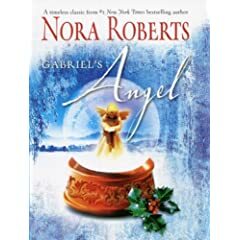 She was an angel with midnight blue eyes and a shock of blond hair, and Gabe might have thought she had come out of the snowy night to save him — if he were the kind of man to believe in such things. But ever since he had lost his beloved brother, he had lost hope. Now the only solace Gabe took was in his solitude. Together they weathered the storm, sharing their intimate secrets and soon powerful passion. By the time the roads had cleared, a promise had been made. For Gabe understood Laura needed protection if she hoped to keep custody of her child through the coming court battle. For her sake, he was prepared to offer marriage. But his motives weren’t nearly so pure. Truthfully, this beautiful, vulnerable stranger had given him an invaluable gift. Life with Laura had given Gabe a reason for being — courage to hope, and the power to dream that he could have the future and the family he had once dreamed of . . . The cover makes you think it is going to be a Christmas story, considering the snowglobe and holly on the cover. That couldn’t be any further from the truth! It actually isn’t about Christmas or anything dealing with Christmas except for one thing- snow. Before the ending of the book, I knew what was going to happen.Of course, they fall in love. Roberts is famous for her romantic novels, this one included. But it kind of gives the ending away half-way through the book. It’s a pretty simple story of love, losing love, and fighing for what you believe. With this book, you also learn something new about yourself. Never live in the past, even if it’s a terrible one for you are stronger because of you. Learn from your past. Stand up for what you want, even if you stand alone. But Roberts paints pictures with every page and you can just see everything unfolding as if you were truly there. A lot of Moms might be able to sympathize with Laura Malone and a few husbands might sympathize with Gabriel Bradley. But I didn’t find it as enjoyable as I thought. Maybe it’s because I prefer something that makes me think or suspensful of what is to come. It’s a good read, especially if you love romance. It’s 1843, San Antonio, the Republic of Texas. Mexican-born Aurelia Ruiz finds that she may have the power to heal-as well as to curse. She definitely has the power to attract men. Willie Barnett, a young Texas ranger, becomes infatuated with her. Her father sells her to him but insists on a wedding. To the other rangers such a marriage is anathema. When Barnett is killed by Native Americans, pregnant Aurelia finds shelter in a Comanche camp. Joseph Kimmel, a teacher in Independence, Missouri, and son of a Polish Jew, receives word of the death of his brother in San Antonio and sets off for Texas. On the way, his horse is stolen by a runaway slave. Rescued by Henry Castro, who is importing immigrants to populate his planned city, Joseph agrees to marry an Alsatian girl to save her from the Comanches, and they go forth to start their own ranch. Then Joseph meets and is enthralled by Aurelia. When the Texas rangers hear of the Kimmel ranch, where runaway slaves and a Mexican woman live as equals with the owner and his wife, they lynch the black men and kidnap the women and children. To his wife’s consternation, Joseph cannot forget Aurelia. I’m not one for Historical Fiction because while I like history, sometimes it just bores me. But when I got the opportunity to review the book, I jumped at the chance because I wanted to see if it would allude my love for history. I started reading the first page and thought that it would be like any other historical fiction I’ve read and wouldn’t end up finishing. Then I read the second page, then the 2nd chapter, then the 10th chapter. Yes, I fell in love with it. I sympathized with many characters. They didn’t have much personality, except for Joesph, who seemed stubborn yet cautious. But with a book like that, they didn’t need personalities. What happened was more important, in my opinion, that what Aurelia thought of the prarie. Being a born-Texan, I could feel the history. When they mentioned certain areas of Texas, I knew exactly what they were talking about. I could see what was happening. It is like being taken back in time to that time when we didn’t have the big city skylines, but instead little villages where they didn’t have tiles for floors, but had dirt. You were afraid of the Indians because you knew what was going to happen. You were afraid of those who lynched those some didn’t deem “worthy to live in Texas”. Vida paints a vivid image of Texas that many of us Texas had forgotten. If you are a Texan, you have a new love for your state. If you aren’t, you will still enjoy it because there is something new on every page and won’t leave you feeling like you’re lost. Texas has finally travelled through time to the past. Ever since his mother left, life has’t been easy for Heath Wellington III. Between his father’s (Junior’s) bouts with alcoholism and literary rejection, and Heath’s own wrongful suspension from school, there hasn’t been all that much to be thankful for. But following the tragic death of estranged grandfather Senior, father and son alike stand to inherit a life-changing fortune . . . with one catch. Heath and Junior must spend the next three months managing Senior’s bed and breakfast, located in the same Massachusetts home Junior has spent the last eight years trying to escape. * And Carter, the silent TV news junkie and secret Harvard graduate. And, at a nearby school is Savannah, Junior’s first love, and her adorable, autistic daughter, Tori. But most of all, there’s Junior himself, vinegar to Heath’s oil. 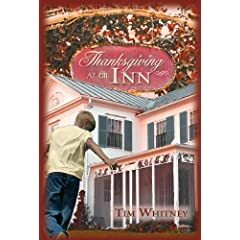 As Heath adjusts to his new world, what he needs most is to start anew with his father, to understand that Junior, too, is dealing with loss, and to realize that, even in the most tragic of times, there’s a lot in life to be thankful for. It’s been a while since I’ve read such a “feel good” story. And at first, you don’t realize that the book will turn out like that. You just think that Heath and Junior will argue and the book will end like that. But was I wrong! Every single character has tons of personality and some of them may even remind you of your own friends or family! I know they remind me of a few people I know. And for those that didn’t remind me, I wanted to hang out with them there at the Inn. Everyone has their own situations to deal with in the book, and it reminds you of our own and how you can conquer it. With anger, laughter, sadness, and family values come into play with every single page and chapter. While Amazon says its for ages 9-12, every age can learn from it. You’re never too old to learn a life lesson. You get a new found sense of love for your family and strangers you meet. You can either be someone who has the problem but doesn’t do anything about it. You can be someone who wants to do something about it but not sure what. Or you can be that person that finally changes everything around. That’s what you’ll learn. I promise. If you had met me a few weeks ago, you probably would have described me as an average teenage girl—someone normal. Now my life has changed forever and I’m as far away from normal as it gets. A living science experiment—not only can I see ghosts, but I was genetically altered by a sinister organization called the Edison Group. What does that mean? For starters, I’m a teenage necromancer whose powers are out of control; I raise the dead without even trying. Trust me, that is not a power you want to have. Ever. Now I’m running for my life with three of my supernatural friends—a charming sorcerer, a cynical werewolf, and a disgruntled witch—and we have to find someone who can help us before the Edison Group finds us first. Or die trying. I was in a local second-hand bookstore looking for books to read because I needed something fresh to read while I took a break from the ones I had at home. I walked in, looked down at one of the corners they have at the door, and saw this book. I knew it was Fantasy/Paranormal just by the way the jacket looked. I didn’t want to read what it was about because I knew it would be good. But I read the description anyways just so I wouldn’t be surprised when I read the book. It piqued my interest so I decided to buy it. The minute I got home, I started reading it. For a YA book, it was pretty cool. Everybody has non-human powers- werewolves, necromancing, or even just spurting spells from their fingertips. Hell, after that, I wanted to spurt spells from my fingertips! While the character’s personalities were there, they were fully known until the middle towards the end of the book. But they were there. The chase and running seemed never-ending and some parts lagged. But there was action in every chapter, even if it was just a simple fight. There were tons of surprises that you didn’t expect. It was a simple read and one to read if you’re bored of your current books.